Warren William stars with Bette Davis in Satan Met a Lady (1936), the second film adaptation of Dashiell Hammett’s The Maltese Falcon. Background of the film and stars in the time surrounding this movie. Attempting to distance this much maligned title from the 1941 film classic. 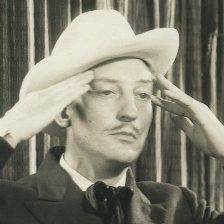 Warren William plays Perry Mason for a third time in 1935’s The Case of Lucky Legs, a Warner Brothers production heavier on the laughs than previous Mason efforts. Directed by Archie Mayo.